Harold, Kumar, Cheech, Chong, Snoop Dogg, those hapless dudes from Pineapple Express. These famous folks, both real and cinematic, are out and proud pot smokers. But what about your neighbor, your co-worker, your grandma? 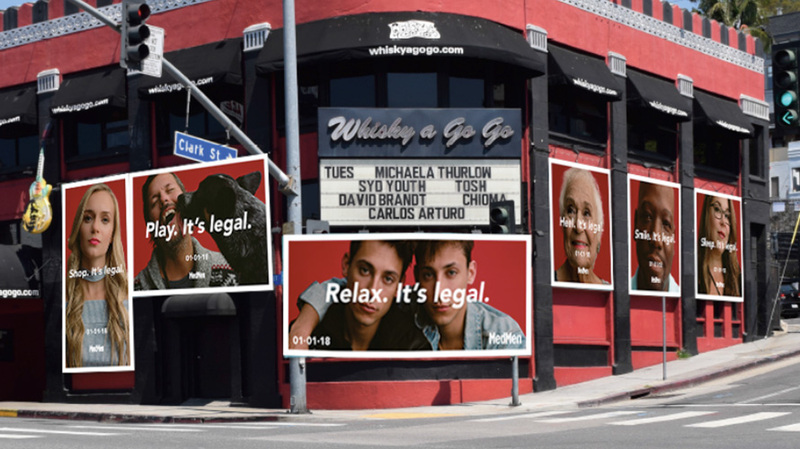 And for a high-profile splash, so to speak, the brand is wrapping the famous Whisky a Go Go nightclub on the Sunset Strip with a number of ads—in what may be the largest-ever outdoor cannabis display. 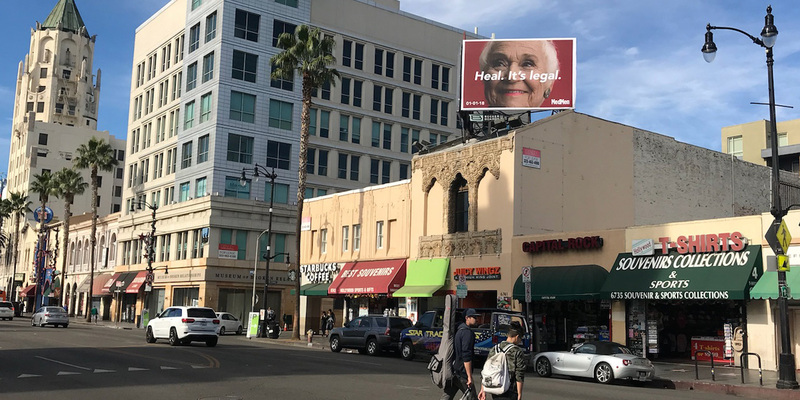 The Sunset Boulevard display, which will run for at least another week, gathers a number of images that MedMen had been showing in its marketing last fall, featuring subjects as diverse as an 80-year-old Santa Ana woman who uses cannabis for pain relief and a young social scientist who eases her chronic insomnia with the state-legal drug. The point is to “get up close in person and show some pure raw emotion,” Carretta said. Simple taglines printed across the photos include, “Heal. It’s legal,” and “Relax. It’s legal.” The ads, created by a small in-house team, can be seen from both driving directions along the iconic Sunset Strip. The Whisky often sells that space to record labels promoting their latest releases. 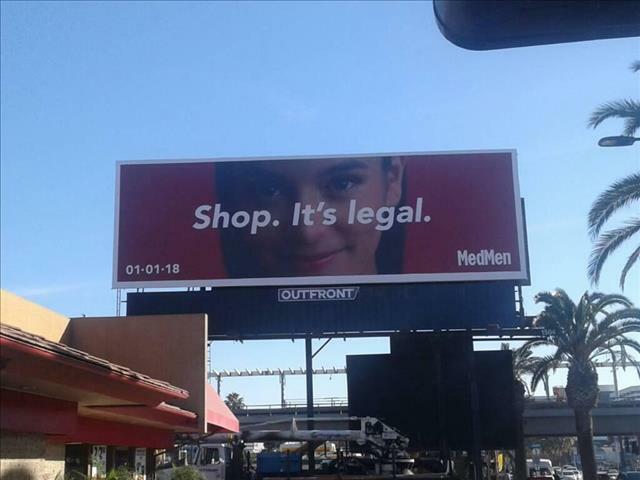 MedMen, which has four local dispensaries and two more opening within weeks, spent “six figures” for the Sunset Strip billboard. Its “Faces” campaign has included more than two dozen outdoor ads, plus print in publications like LA Weekly, OC Weekly, Angelino and Paper magazines, along with wraps on commercial vehicles. There’s also been digital outreach, grassroots programs in about 50 nightclubs in Los Angeles and Orange counties, and a content partnership with Leafly and Vice. California voters passed Prop. 64 allowing the legal sale of cannabis for recreational purposes, and according to the Green Market Report, sales revenue is expected to top $15 billion a year (bigger than Colorado, Washington, Oregon and Nevada combined) and support between 80,000 and 100,000 jobs.